Hi guys, I am currently looking for French Light Infantry or line infantry Bugle sheet or midi music. If anyone has any sources they can refer me to please post in this thread. Currently I have access to British bugle calls but require French Infantry Bugle references. You are running into a problem here. The french employed various different skirmishing drills during the war. Some of them use their own horn signals, but we unfortunatly no longer have any sources available to tell what they sounded like. We only have a list of signals, but the notes are lost. Some others we have a few remaining tracks, but not much by any means. I.e. useless for the game. used commonly known songs/signals as horn and drum signals. Note above, the 85e! which is in the game employed this skirmishing rill. Technically this drill is from 1811, so kinda late for the game, but I guess that does not matter much. I am sure you will be able to find sheet music or tracks for some of these. 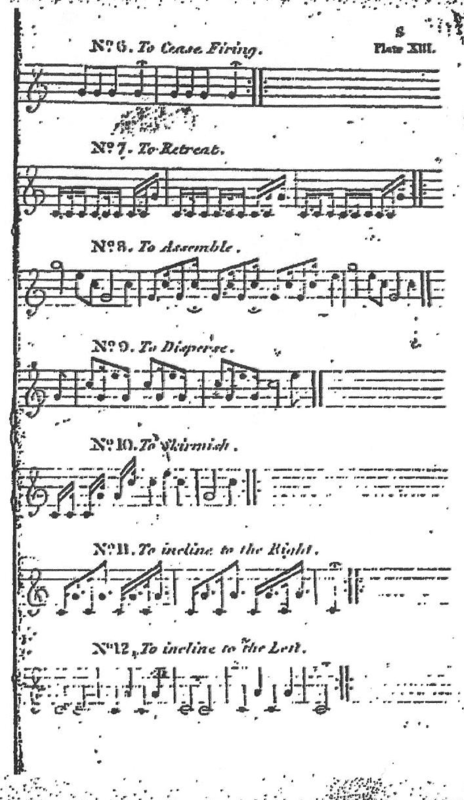 You can probably look up the sheet music for most of them, since I am somehow 100% sure that they are still avaiable, but I don't know where exactly to start looking as I am not really intersted in light infantry stuff for bugles. No worries cheers for this I'll have a look for those. these are from the De Rottenburg manual which was the basis of British light infantry bugle calls which the 52nd and 95th made use of. I believe he has more from the French side as well. aren't those the british one's i posted? To clarify i think Rejenorst needs French sheets. I have an idea how to get this sheets. May be just send a letter to this guys? They can have them or at least know something, where to find, like some kind of archieve or library. They indeed exist. I'm historian by myself, no stranger to all this things, generaly people in such establishments eager to help, even if formal channels can be little bit slow. But perhaps we will need assistance of actual french community member to go faster. Sorry for double post. Technical issues. Has AGS found anything for the French yet? 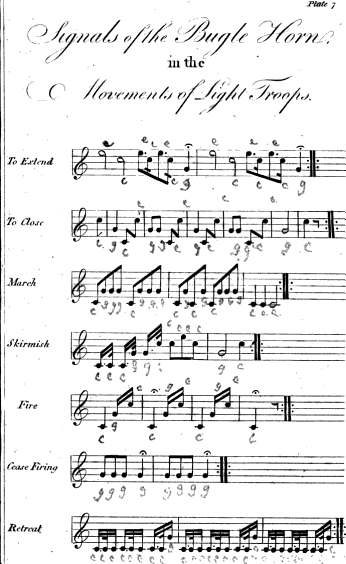 If not, I'd take a look at some American calls from the 1820s-1830s as they were directly copied from the French with a few additions here and there. New calls based on the French (an assumption is made because some of the calls extant are found in French manuals)-are not introduced until 1825. 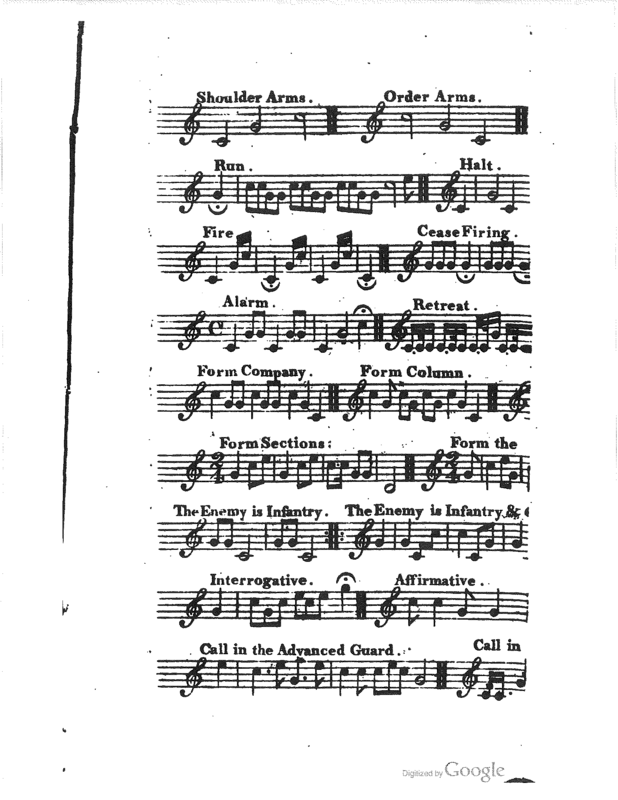 And in the new 16 calls found in the 1825 manual, one call is introduced that still remains in today’s military-“Assembly.” The calls remain in service until a major revision of the Tactics Manual in 1835 by Scott. 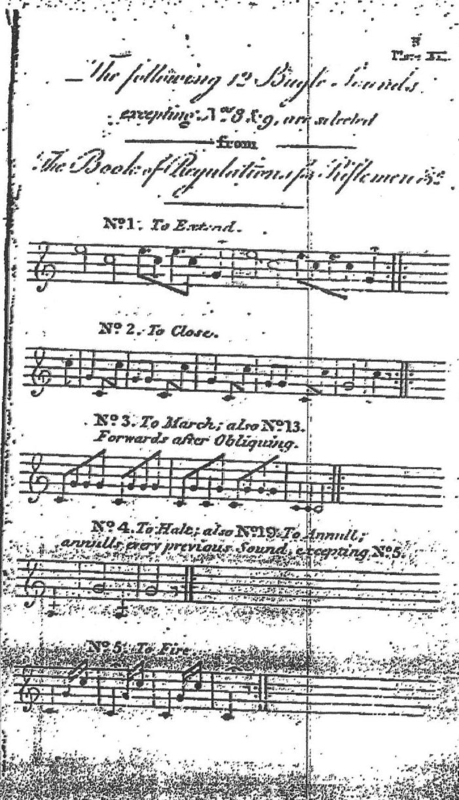 The 1835 Scott’s Tactics, ordered into use April 10, 1835 includes 19 beats for drum and fife and 22 sounds for the bugle. 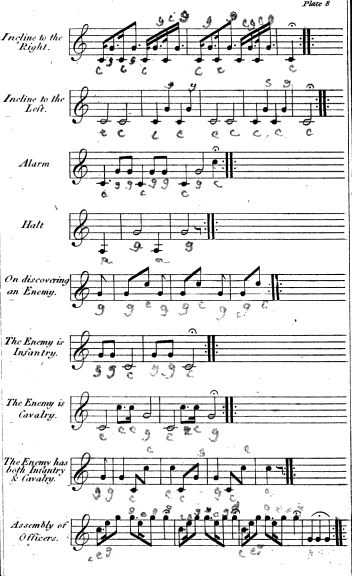 These are all taken from the French with the exception of a new Tattoo which I refer to as the “1835” or “Scott’s Tattoo.” It is important to note that this is the basis of the call Taps that appears after 1862, first in performance, then written (as “Extinguish Lights”) then finally printed in US manuals as “Taps” in 1891.